One of the things that sets Most Curious apart from other wedding fairs is that we’re design-led, taking our inspirations from the design and interiors world. Another thing that sets Most Curious apart is the INSANELY TALENTED suppliers we have who share this vision and manifest it in real life in buckets. Boom Blooms are exactly that supplier - taking inspiration from all sorts of incredible art works and the grandeur of times gone by. Aelia and Eram’s creativity and knowledge of blooms knows no bounds, and neither would we want it to - they continue to inspire us everyday with what they come up with. Naturally, we can’t wait to see what they design for the 2019 show! 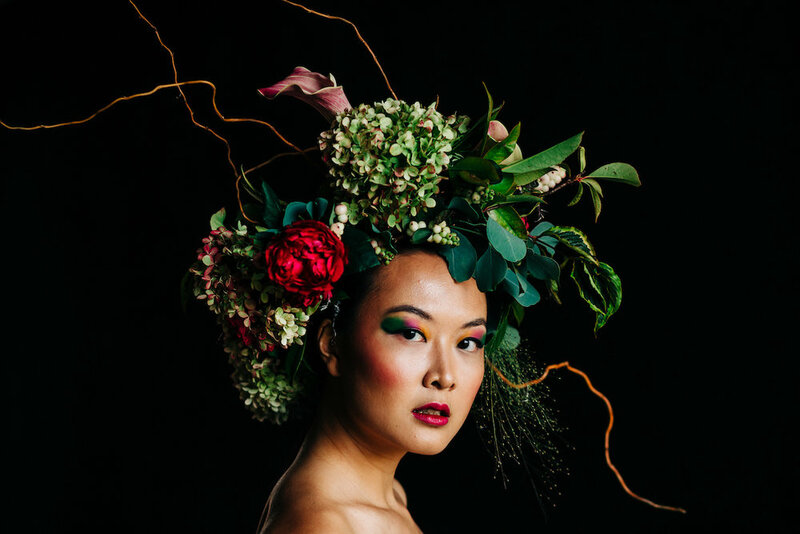 Art and Design florists, Boom Blooms, are sister duo, Aelia and Eram. With a focus on creating distinctive and unique floral pieces, they love nothing more than designing arrangements that will perfectly capture, and complement, the ambience for your utterly unique day. 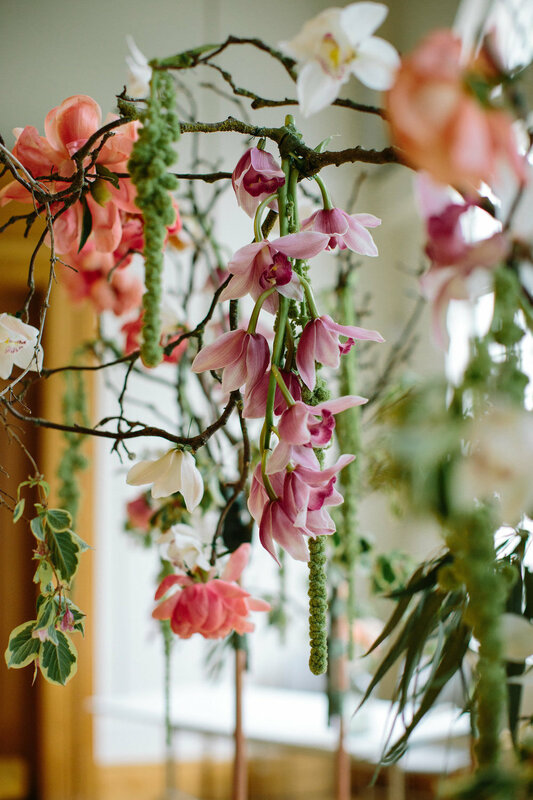 Whether Boom Blooms are creating a jaw dropping, large scale installation, or whether they are meticulously making a petite boutonnière or corsage, attention to detail is at the core of their ethos. Boom Blooms are inspired by the abundance of art found in music, architecture, fashion and literature. The grandeur and nostalgia of the past and the vanguard of contemporary design are evident in their work with Boom Blooms always aspiring to imagine, and realise, bloomin’ marvellous flowers for all to enjoy. We’ve had loads of moments that have made us smile (with face ache!) and burst with pride. Sending flowers into space was rather special. Creating tributes for those icons who have inspired generations was cathartic. Recreating Old Masters work is an ongoing passion project. In reality though, every first is incredible. Whether it was the first non friend enquiry; the first workshop; the first fair; the first thank you letter, the first installation or the first new design of an arrangement for a new client, they have all been thrilling and spur us on to create more art that connects with people and makes them feel something. Our inspiration is all around us. Whether it’s a Bowie lyric, a poem by Shelley, a painting by Kahlo, or the architecture of the Barbican, we love to take in the magic, and feelings, that have come before, or are around us now, and instil that in our work. We aspire to keep designing new modes by which people can experience the beauty and art in flowers. Each time we do that, it feels amazing and pushes us to do something more. We are in an industry where passion and excitement reign. 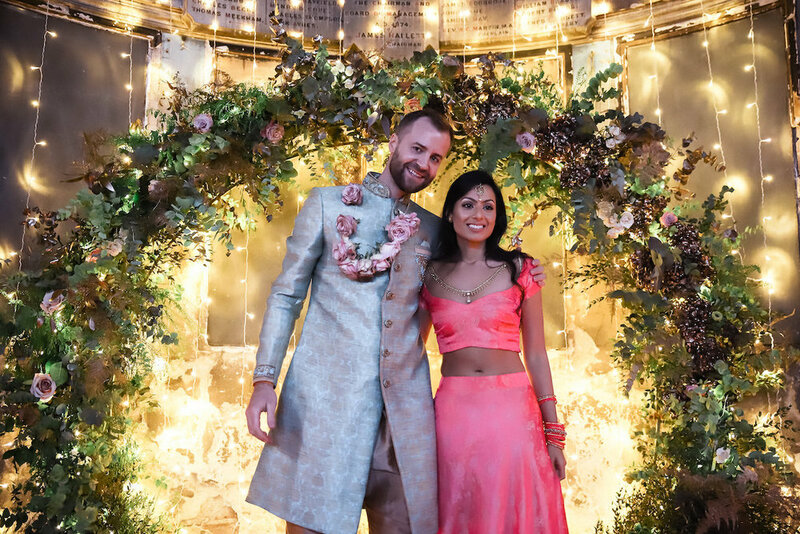 We always get caught up in the bubble of excitement our new couples are experiencing and love to work closely with them so that their day is everything they dreamed of. And, almost without exception, the people we meet within the industry, always exude positivity and ambition. Whether they be talented fellow florists, illustrators, bakers, photographers and videographers, clothing designers or planners, being around such creative energy is a real privilege and a total buzz. 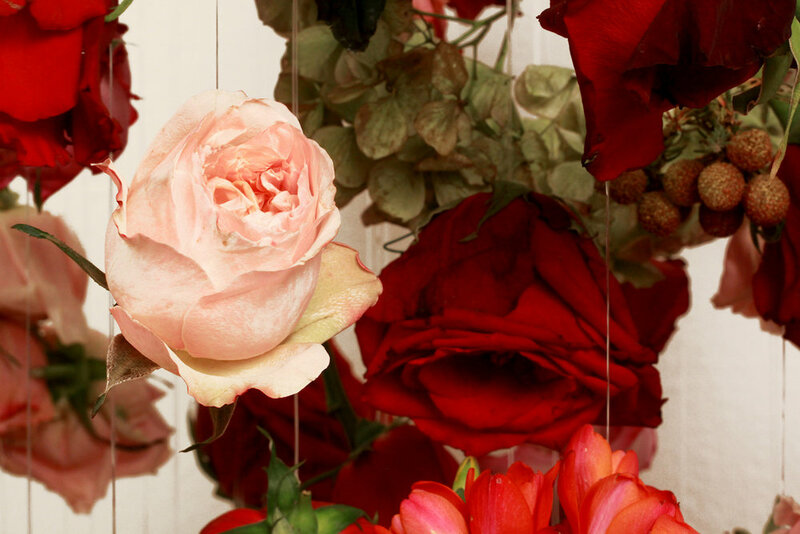 For us, being curious about how we can push the boundaries with flowers really motivates, excites and inspires us. We want to create experiences and emotions which feel truly holistic. With flowers as our overarching brief, then the possibilities with how you use them is, well, neverending. We don’t have a ‘house’ style. We love the challenge of change. Whether it’s an alternative bouquet wrapped around your grandmother‘s bible, flowers sent into space to celebrate the biggest Mother of all, Earth! or handmade ceramics for your miniature cacti, there‘s no stone left unturned. We love creating and we love the unknown. If you have an idea for what you want, just go for it. Try not to let vocabulary such as ‘should’ or ‘traditionally you would ... ’, or ‘Mum wouldn’t like that’, dictate the decisions you make for how you plan your wedding. There are no rules. It’s your day. Own it! If you’re as excited to see what Boom Blooms create as we are, grab your tickets now for our London fair. 1st - 3rd March 2019, The Old Truman Brewery, Shoreditch - we’ll see ya there!